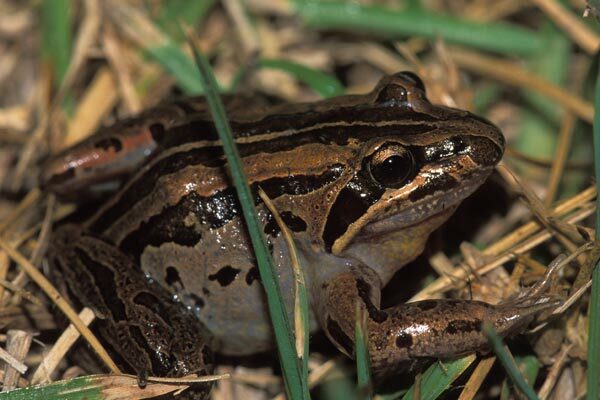 These frogs are commonly heard all up and down the east coast of Australia, but they are maddeningly hard to see. They make a soft "toc" sound, repeated every few seconds, that echoes and bounces such that its origin is extremely difficult to pinpoint. 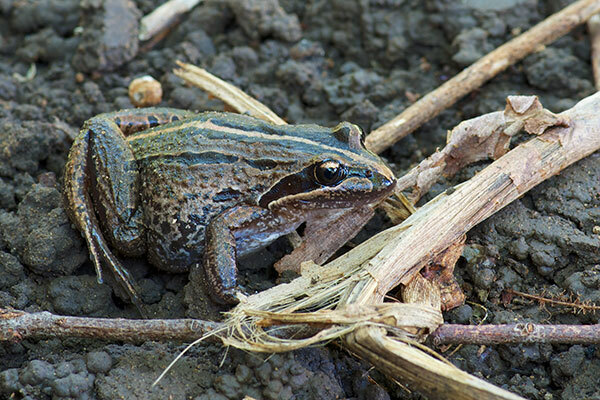 I spent at least ten minutes within three feet of this frog before I finally saw it. Here is a complete list of the reptiles and frogs I saw on this trip to Australia. This cheerfully fat frog was lurking beneath an old board that also covered a couple of skinks. The skinks dispersed quickly when the board was gently lifted, but the frog just sat there in its fat froggy way.